Herbs and spices are growing in popularity as they are an extremely natural and easy way to make your daily diet healthy. We’re not talking about those magical herbs that could cure the plague, but the ones that are known for providing that extra little health boost you’re looking for. Here is a small list of herbs and spices and the benefits you get from adding them to your diet. A cheap choice, cinnamon is without doubt the most versatile and tastiest of them all. Available in two varieties, cassia and ceylon, cinnamon is produced from the inner-bark of cinnamomum trees. Cinnamaldehyde, which is an compound, lends cinnamon its aroma and flavour, and gives it all the great healthy properties. Rich in antioxidants and loaded with anti inflammatory properties,cinnamon is a great choice for people who are looking to add healthy herbs to their diet mainly to lower their blood sugar levels. Just a pinch of cinnamon added to your morning meal makes a great difference to how you start your day. Also known as Indian ginseng, Ashwagandha is well known for its abilities to help our bodies overcome stress by producing a soothing effect. The herb changes the way the body responds to stress as well as fatigue, helping it adapt to situations and improving its ability to deal with anxiety attacks. An evergreen shrub, it’s one of a kind with its root, fruits and leaves all having therapeutic properties. 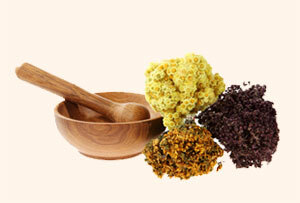 However, it’s the root which is commonly used in preparation of herbal remedies and medicine. In India, people harvest the fresh root after allowing it to grow for months and then dry it in the sun before adding it to tea decoction and tinctures. Chili doesn’t necessarily mean hot and spicy. Agreed there are some that will be a bit too hot and spicy to handle, but there are also certain varieties of chilies with mild spice and a great earthy accent, and others with mellow, fruity notes. All kinds of chilies contain a special compound called capsaicin which is supposed to boost the metabolism of the body and aid in burning fat. Chili is a great companion for those suffering from sinuses, as it clears out blockages in the nasal passages. You can either buy and cook them whole or ground them into fine powder. It’s totally up to you. Toss a little bit of chili powder in to your recipes to spice it up a little and add a bit of heat and flavor to your dishes or make some pepper tea with lemon and water for an extra punch. Vervain, mostly used in tea preparation, is another herb with great medicinal properties. Not only does it make you feel better, it also has a calming influence on your nervous system. No wonder it is mostly used to calm anxiety, combat stress and treat other conditions like depression and insomnia. As an antispasmodic, it provides relief from cramps, spasms and convulsions. Usually taken as a tea infusion, Vervain is quite delicious and gives off a refreshing aroma, making it a soothing, caffeine-free alternative after supper. If you’re looking to restock your pantry with any of these herbs and spices, Botanical Garden is a good place to buy herbs online now. They offer a wide variety of herbs and spices at fairly reasonable prices and their stocks are high quality and incredibly fresh. Head on over to their website to browse through their growing catalogue, particularly the Indian spices.